The City Council is accepting applications for the vacant city council seat. Click HERE for the application, which is due May 5 at 5pm. If the City Council cannot come to a consensus, we will have a special election. Click HERE for a copy of the petition that is circulating if you want sign or help gather signatures to ensure a special election. If enough signatures are gathered by May 3, it will guarantee a special election. 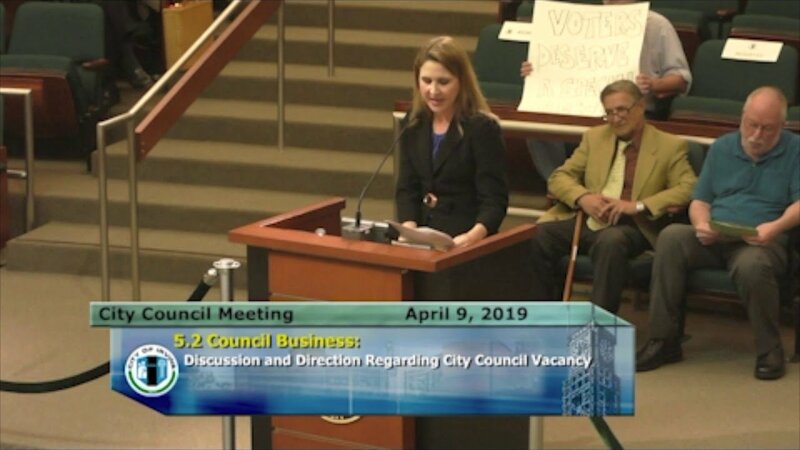 On April 9th, the Irvine City Council met to discuss how to fill the vacant council position caused by Christina Shea filling the vacant Mayor ‘s Position. A motion was accepted by the council to fill the vacant position by a majority vote of its members rather than holding a special election. Speakers in favor of this motion said that they trusted the currently elected council members to make this decision. However, I do not trust the current city council. Of the current four members, I only voted for two of them and one of the two, I no longer trust. Only one of the four council members has not taken campaign contributions from developer, builder and real estate agent PACs. Another reason given for avoiding a special election is that the cost of a special election is estimated at $820K – $905K. It is a large expense, considering that the position will be up for election in 2020. The city has a tight budget and cannot afford the cost. How did the City get to position where it cannot afford this expense? Of course, there are many reasons for a tight budget and a tight budget is a good thing. For years the City has not charged an annual business license fee. With so many new businesses coming and going from across this growing city no fees were collected. Also, the city has not raised building fees for years and years. With thousands of square feet of new shopping centers, office buildings and homes the City Council has not increased the cost of fees for years, an outright gift to builders. Of course, a special election can be avoided but, in my opinion, it is the right thing to do. Incumbents always have an advantage in an election. An appointee that the citizens did not select will have an advantage over other candidates for elections to come. Citizens never voted for Christina Shea to be mayor, yet now she is.